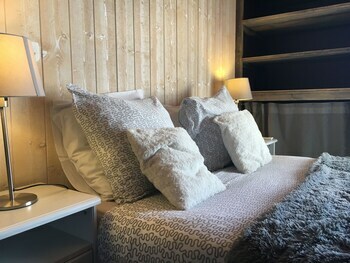 Located in Auris, Hotel Le Beau Site is in the mountains, within a 10-minute drive of Les Deux-Alpes Ski Resort and Les 2 Alpes. Free self parking is available onsite. With a stay at this apartment in Villeurbanne, you'll be convenient to Place Grand Clement and Musee Lumiere. Free self parking is available onsite. With a stay at this villa in Grandcamp-Maisy, you'll be close to Maisy Battery and Pointe du Hoc. Free self parking is available onsite. When you stay at Domaine le Moulin in Ottrott, you'll be within a 10-minute drive of Robert Blanck Alsace Wine and Church of St. Pierre and St. Paul. Free self parking is available onsite. With a stay at this apartment in Nice (Riquier), you'll be within a 10-minute drive of Castle Park and Nice Theatre. A roundtrip airport shuttle is provided for a surcharge (available on request).